An autocue provides valuable support for presenters and speakers of every level of experience. We understand the pressures involved when filming busy executives. An autocue ensures they deliver their message perfectly and on time. Our operators are all experienced working in the corporate environment and can quickly and discreetly set the autocue equipment up. They input your scripts, make any changes needed, then run the script during filming and remove all of the autocue equipment off site when finished. We use Autocue software. A robust application designed for professional productions. The software runs on the Windows platform and easily imports word documents and any changes can quickly and easily be made on site . 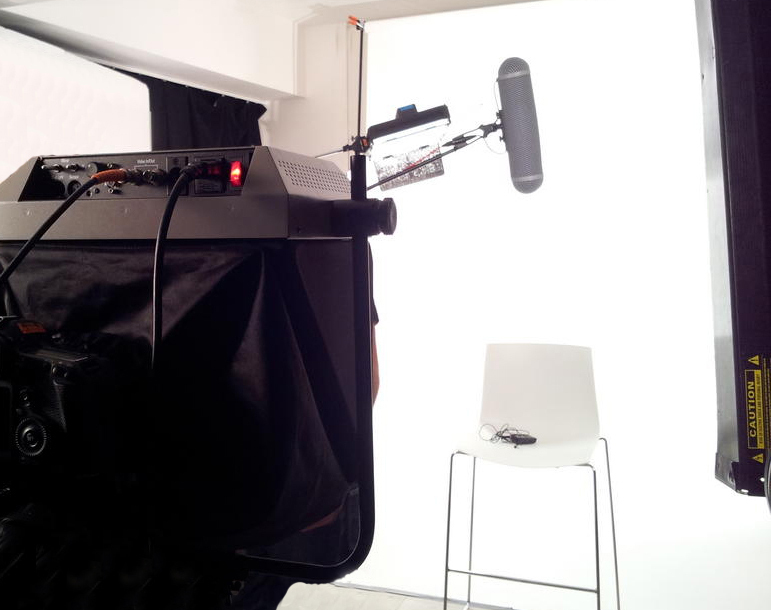 Autocuehire offers the latest on-camera teleprompting technology. The autocue fits directly in front of the camera lens, giving the impression that the presenter is addressing the camera directly whilst reading the script. Our standard set up for Corporate Videos is portable, compact and unobtrusive and can be mounted on regular camera tripods, on a jib, or track. We also provide a separate stand to mount the autocue unit independently off camera, which is useful for interviews and webcasts. Our teleprompters are ultra-bright, readable in sunlight and bright lighting. We also have lightweight prompters for going handheld or mounting on a steadicam, all can be either mains or 12v DC powered.